Loving your strength Marie Young!!! You was one of the people that took time to help me with my blog! I appreciate you ! You are a beautiful person! Turning thirty-one this year brought on a lot of realizations. One of which was that this age (the 30’s) is a time of transition for most of my peers. As I scan my group of friends I see about half, if not more, going through a marital shift. Divorce, separation or reconciliation – myself included. 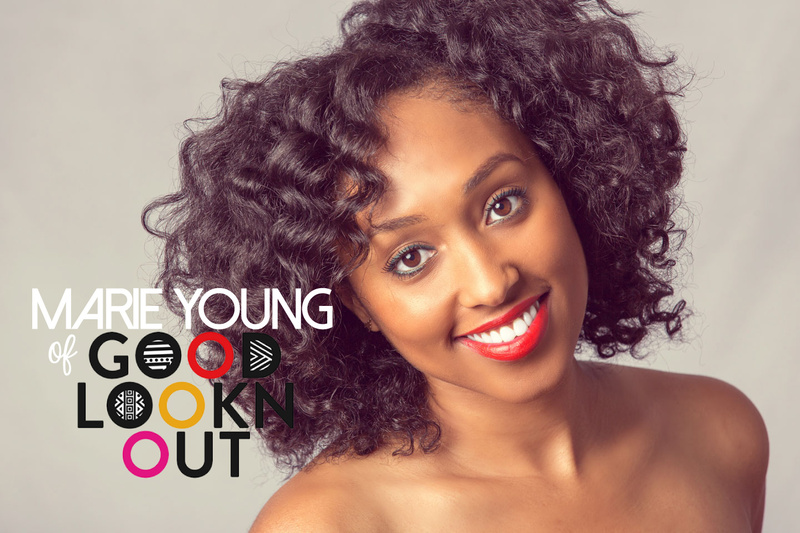 One person who has really impressed me when it comes to handling life’s hurdles is my good friend Marie Young, creator of GoodLooknOut. Her blog is colorful, blatantly informative and above all REAL. Of all the things about her I admire, what stands out the most is her ability to handle a fresh divorce with grace, raise her two gorgeous children, regularly slay the blogging world, work round-the-clock freelance gigs and still come out looking fierce (all while chipping away at a graduate degree). « When Vintage Meets Glam….Featuring Calloni Gibbs!